The Fear-Not Halloween Party is just one creative way to help your elementary-aged children realize that our God is not the God of fear, and that no matter what comes, the "Lord will be [their] confidence." It is a welcome message for those who belong to Christ – or for those who have never met Jesus Christ, making it a great outreach. What is a party, though, without fun and games? When my family hosts this celebration, it is an outside event with s'mores, a costume parade, Romans-versus-Christian Flashlight Tag, and a "scary" story around the campfire. While the whole party is fun, we have found that it is the story that makes the biggest impression, because it is always the tale of someone who faced the greatest unknown and conquered his fear. It is the story of one of the heroes of the faith from the era of the church's early persecution. All eyes will be on you as you take them back in time to discover how one person conquered real evil and made an amazing difference in God's kingdom. The Fear-Not Halloween Party is not an alternative to a Halloween event. Instead, it celebrates the very heart of the season by rejoicing in God's goodness and communicating the message that faith drives out fear. Brainstorm with your kids the children to invite. Because your focus is on outreach, aim for diversity in backgrounds. Your children have many friends and acquaintances at school, on sports teams, and through other extracurricular activities who could be invited. This event works great for any number of kids. Design an invitation that includes the words Fear-Not Halloween Party. This communicates to both kids and parents that your party will have a healthy focus. 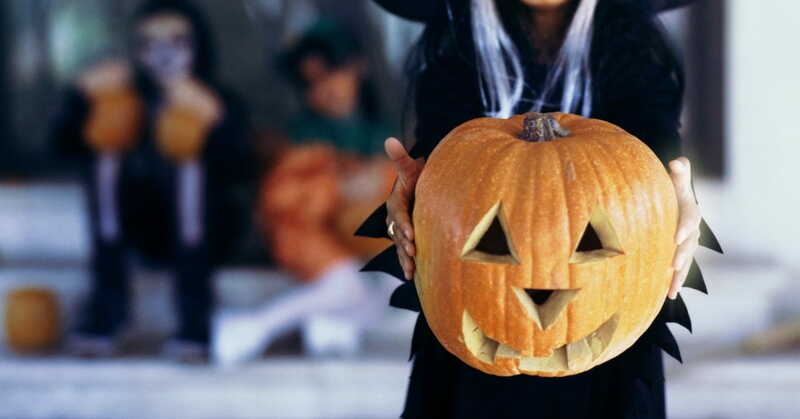 The invitation should include a reminder to bring a flashlight and to dress up for the costume contest, noting that non-scary costumes are appropriate. There are many things going on in communities during the month of October so be sure that you check the calendar when choosing the date. We like hosting this on a school night since weekends get so busy, and not on Halloween night as many children will participate in trick-or-treating. Our last Fear-Not Party was on a Tuesday night from 6:30-8:00. That gave parents the chance to get home from work, but also ended early enough not to interfere with homework. Snacks are always a big hit with kids 7 to 12. On a table outside, set out bowls of popcorn, store-bought cookies, chips and dip, a jug of lemonade, and hot chocolate. Use paper goods to make cleanup easy. Set a trash can nearby. If local city regulations allow it, a campfire will really set the mood for the party and the devotional story. The kids will also love making s'mores over the fire. Get the wood stacked and ready before guests arrive. Don't light the fire until there is at least one adult who can attend it at all times during the party. If a fire isn't an option, use a barbeque grill or even an indoor fireplace. Set out a tray with everything needed to make the s'mores: unwrapped chocolate squares, graham crackers, large marshmallows, and skewers or straightened clothes hangers. Situate hay bales, lawn chairs, or picnic blankets to provide places to sit. For safety (and for your own sanity), recruit some parental help. If possible, assign one parent to the snack table, one to the fire, and another to help you organize and carry out the games. Remember, you will be reaching out to these parents with your message as much as to their kids. Set out extra flashlights with fresh batteries, and have sticky labels available to put names on them as kids arrive. Hang a whistle around your neck to use for the game. As guests arrive, allow the kids to play in the yard, visit the snack table, and greet one another. Once most everyone is there, blow your whistle and welcome them to your Fear-Not Halloween Party. Explain what you will be doing and emphasize any guidelines or safety rules. Tell the following story: "After Jesus left earth to return to heaven, His followers began to spread the Good News, and the church began. Unfortunately, not everyone wanted the news spread. The Roman government wanted to stop Christians from telling others about Jesus, so they did everything they could to stop them. They hunted Christians down, arrested them, and sometimes even killed them. Christians had to learn to tell others about Christ while avoiding arrest by the Romans. For three hundred years, Rome hunted the Christians. Finally, one Roman emperor became a Christian himself, and the terrible persecution ended in Rome. However, so many faithful men and women had died that the church decided to set aside a special day to remember them. They called that special day 'All Saints Day,' and the night before it they named 'Halloween,' or 'Eve of the Holy Ones.' That is why we have Halloween today. And in honor of its beginnings, we are going to play Romans-versus-Christians Flashlight Tag." The rules: In the first game, all of the kids are Christians. Three adults or teen helpers are the Romans. The Christians will get a two-minute head start. They must hide somewhere in the yard to avoid getting caught. Be sure to set clear boundaries for the game. The Romans will have flashlights, and they will search for the Christians until they find all of them. If a Roman sees a Christian and hits him with a beam of light from the flashlight, he is caught and has to turn himself in at the jail, located at the campfire (or other designated area). The game ends after a set time limit (approximately 10 minutes), or when all are caught – whichever comes first. Blow the whistle to indicate when the game ends. Be prepared. Kids will want to play this several times, and they will also want to volunteer to be the Romans. Each time a game ends, give a prize to the Christians who remained uncaught when time ran out. The length of your party will determine the number of rounds you can play. Reserve at least 45 minutes for other activities. Fun prizes can be purchased at the dollar store. We put several dollar prizes in a box and let the winners choose. Have the s'mores tray waiting by the fireplace or campfire for any kids who get caught. They can fix themselves a s'more while waiting for the next game to start. Keep the s'more tray available all night for kids who don't get a chance to make one while in jail. You should have time for a costume parade to allow kids to show off their costumes. A front porch works well for this. Have everyone stand on the lawn facing the porch. If you have a portable stereo, play some upbeat music. With five kids at a time waiting in the wings, let them parade across the porch in front of the audience displaying the costume "in character." Give prizes for those who do the best impersonation. You may also decide to give prizes for creative costumes from your dollar prize box. The costume parade should not take more than 10 to 15 minutes, depending on the number of guests. After the parade, gather guests at the campfire. Those who have not had a chance to make a s'more should make theirs as everyone else is getting settled. Announce that they all have five minutes to finish making s'mores or getting a snack or drink before the "scary story" begins. Blow your whistle to gather everyone at the fire for the "scary story." At the end of the story, talk about how that hero was able to face his situation without fear because of his or her faith in God's strength and promises. Use Matthew 10:28 as an example: "Do not fear those who kill the body but are unable to kill the soul; but rather fear Him who is able to destroy both soul and body in hell" (NASB). Talk about the biggest promise that a particular hero would have counted on; the promise of eternal life. Assure the kids that they don't have to fear death, because that same promise has been given to us as well. In simple and clear terms, explain the gospel. We suggest that you give kids an opportunity to pray silently to receive Christ. If you do lead a prayer of salvation with which children could pray along silently, be sure afterward to ask them to tell you or their parents about the wonderful decision that they have made to trust in Jesus as their Savior. End the story time by celebrating the fact that "perfect love casts out fear" (1 John 4:18, NASB) and that Halloween is really a holiday of faith, not fear. * Invite kids to ask questions before they leave if they are confused by anything you said or if they are curious to learn more. Remember that parents may be arriving to pick up their children before you story is finished, so have another adult waiting by the door, ready to invite them to the campfire and hear the story as well. When the party ends and you have said a closing prayer, thank the kids for coming. After the party, pray with your own children that the message their friends heard would help them to live a life of faith in Christ, not fear of the unknown. From "Redeeming Halloween," a Focus on the Family book published by Tyndale House Publishers. Copyright © 2004, by Kim Wier and Pam McCune. All rights reserved. International copyright secured. Used by permission. Kim Wier has reached thousands with her message that God still speaks personally in the lives of ordinary people. Through her weekly newspapers column, she chronicles the hilarious ups and downs found on the road of everyday life. A popular conference speaker and radio co-host, Kim lives in Nacogdoches, Texas, with her husband, Tony, and their children, Chase, Bailey and Hannah. Pam McCune has been impacting the lives of university women through her work at Campus Crusade for Christ for almost 20 years. A popular Bible teacher and conference speaker, Pam regularly leads women of all ages in the study of God's Word. Pam lives in Nacogdoches, Texas, with her husband, Jerry, and their children, Madison and Connor.